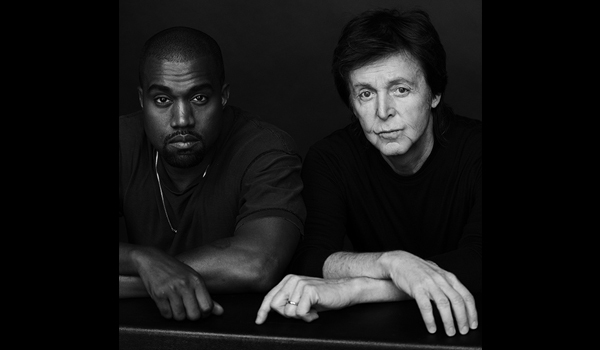 McCartney partnered with hip-hop singer Kanye West, and the two were an unexpected duo, and not the best, either. Their single “Only One” was released New Year’s Eve last year and has remained one of iTunes top 100 songs in the U.S. since. West’s autotuned voice comes in, sounding similar to the keyboard McCartney is playing behind him. There is no denying that West’s voice was “doctored,” especially if listening to the video on www.kanyewest.com, which is the music video for the song. About two minutes into the video, the studio version of the song fades out, and West is singing presumably “live” to the camera for 30 seconds or so. It’s comically terrible. Perhaps there is a method to the madness behind West’s electronic-rap style of music. “Only One,” confirmed on Kim Kardashian West’s Instagram page, was a way of her late mother-in-law Dr. Donna West to communicate to her granddaughter, North, through Kanye. North was sitting on his lap when West sang to her, “Hello my only one…” and the song took off. “Kanye” actually means “only one,” which West remembered after he had subconsciously sang to his daughter. The song was recorded over two days at a studio in Mexico. McCartney was said to help West get his, or his mother’s words down on a page. The lyrics are very sweet and sentimental, however West’s voice does not work with those two things. Why this unlikely duo decided to write together is not known, they don’t seem too compatible; McCartney was in the most well known British band of all time, played softrock a majority of his musical career, and is now a cool older guy with who amazes everyone with his energetic performances. West is known for thinking of himself as “godly” and having a techno-rap style of music. Multiple “Beatles” and McCartney fans pitied the unknowing, shameful, tweeting fans of West. Hats off to them for trying something new, but perhaps it is best to keep such drastically different solo artists, solo.